It’s hard to believe that six months have already passed since this sweet little lady was born! 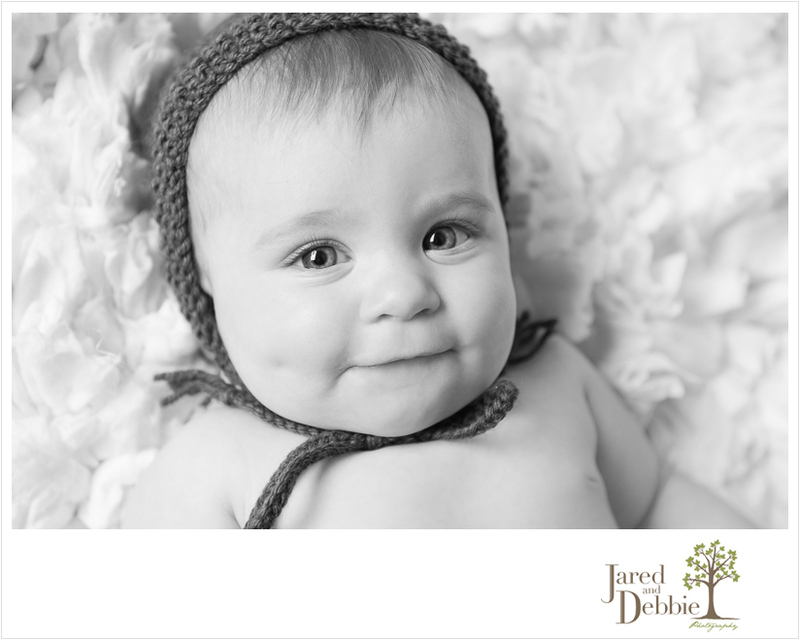 I love when parents opt for our baby plan package, which captures their new addition at newborn, 6 months and one year. It’s so much fun for us to capture all of this growth and development in such a short period of time. Olivia is getting her first two teeth in, which happen to be the bottom two, and she loved sucking in that bottom lip! And see that little shadow on her right cheek? It’s only the cutest, most perfect little dimple I’ve ever seen! We had so much fun in the studio today, switching up outfits and props seamlessly while Olivia just chatted away. Here’s just a peek at the adorable Olivia, 6 months old. Stay tuned for more images from her six month session!